The Business Benefits of Custom Web Applications | IT Solutions , is a critical part of the evaluation process. This requires a deep dive into what you're looking to achieve, thorough research and comparison of viable options, including total cost of ownership. As a custom software company, we always think we can build a better solution than what you can find out in the wild. But can we do it cheaper and can we deliver value? Not always, which is why we have to be realistic about the options that clients might have. Under certain circumstances, we recommend sticking with a pre-built solution. It can be the more sensible option, especially if your needs are fairly simple and there’s already a solution out there for it. In this case, you probably don’t want to reinvent the wheel. The lower upfront costs and speedy implementation can be very attractive, especially for smaller businesses with limited resources. But it's important to know that most packaged or pre-built solutions can’t do everything. Compatibility and integration issues will undoubtedly arise and at some point you will likely face limitations with functionality that can hold you back. Custom-built software was once reserved only for large companies. But recent advancements such as robust application frameworks and rapid application development tools - have lowered the cost - and more and more small businesses are choosing to go the custom route today. While there’s no doubt that a custom system requires dedicating significant energy, resources, and time to its development, the return on investment can pay dividends. 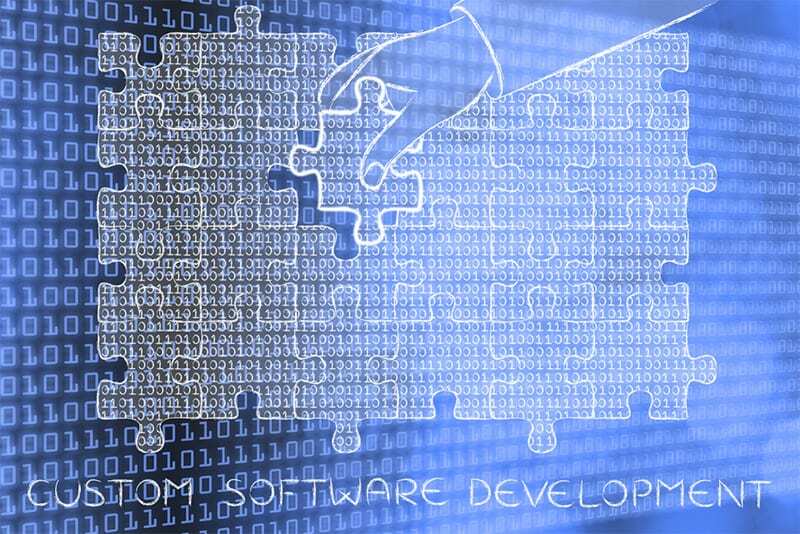 Large or small, building custom software can unlock a host of benefits. If you operate a dynamic, evolving organization, your software should adapt and grow with you, rather than remain static and hold you back. Here are some guidelines to help you decide if a custom-built solution is right for your business. Do you have a unique business challenge that you think can be solved with custom software? Want to learn more about our development services? Check out this 2-minute video or contact us today to discuss how we can help get you on the right track for success. Balancing your company’s immediate needs with its long-term growth is paramount but can also be very challenging. When evaluating software solutions, should you invest in a longer-term strategy or take a tactical but less flexible approach? Choosing the right software for your business is an important decision. Weighing your options, including whether to build or buy, is a critical part of the evaluation process. This requires a deep dive into what you're looking to achieve, thorough research and comparison of viable options, including total cost of ownership.